Heads up gamers, Apple has just named “Infinity Blade III” its App of the Week for this week. This means that from now through next Thursday, you’ll be able to download Chair’s epic blockbuster slasher for free on both iPhone and iPad—saving you $6.99. As the third and final installment in the brilliant Infinity Blade franchise, this game really needs no introduction. Playing as either Siris or Isa, you are tasked with exploring beautiful dynamic 3D worlds, picking up items and slashing enemies along the way. 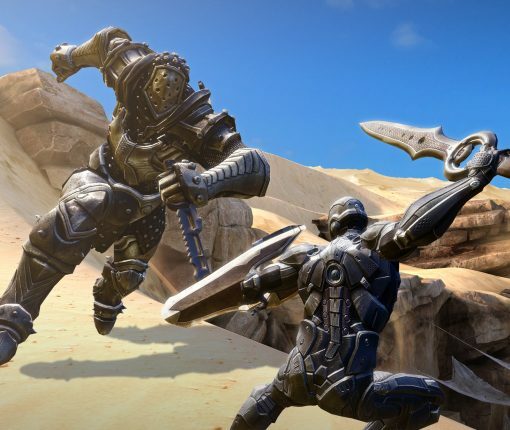 Infinity Blade, an elegiac iOS-exclusive masterpiece, is temporarily available free of charge in the App Store this weekend, as part of developer Chair’s July 4 celebration. The first chapter in the epic trilogy, Infinity Blade debuted in November 2012 filing as the very first iPhone and iPad game driven by the remarkable Unreal Engine with a little help from Apple’s powerful 64-bit “A7” mobile processor. The original blockbuster went free only twice since its release so grab it now before the price goes back up again and instantly save $5.99. Tomorrow is the Fourth of July, also known as Independence Day, a federal holiday in the U.S. commemorating the adoption of the Declaration of Independence on July 4, 1776, declaring independence from the Kingdom of Great Britain. 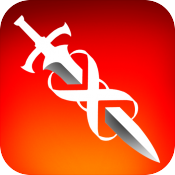 ChAIR Entertainment, the brains behind the Infinity Blade series, an iOS-exclusive elegiac masterpiece, has now discounted all three Infinity Blade games. Chair Entertainment’s Infinity Blade III is still on sale following the massive ‘Blade Masters’ update and now its predecessor, Infinity Blade II, has been slashed to zero bucks, courtesy of Apple’s ongoing Free App of the Week promotion (last week’s free app: Fun Golf GPS 3D). This means that you can download this elegiac masterpiece free of charge until next Thursday, after which it will go back up to its normal asking price of seven bucks. It’s a universal app so you can play it on both your iPhone and iPad. Again, this game is downright awesome so you’ll most certainly regret passing on this deal if you don’t act pronto. The triple-A iOS exclusive has been built on Epic Games’ Unreal engine and is the closest thing to a system-seller on Apple’s platform. Go grab Infinity Blade II in the App Store now! Chair has just released a monstrous update for its popular Infinity Blade III game this morning. The so-called ‘Blade Masters’ update brings the app to version 1.3, and offers up a number of new features and characters, as well as other improvements. Good news gamers, Chair Entertainment has dropped the price on its popular title Infinity Blade II. For a limited time, you can pick up the game, which normally retails for $6.99, for just $0.99 for both the iPhone and iPad versions. Chair Entertainment’s Infinity Blade franchise has received a massive content update this morning. Hot on the heels of releasing the first major Soul Hunter content pack, Infinity Blade III Ausar Rising is now available as a free download for those who’ve purchased the game. Chair Entertainment’s Infinity Blade is an elegiac masterpiece, an iOS exclusive and a system seller that showcases what’s possible on Apple’s iOS platform better than any other game. Unbelievable console-quality graphics, great soundtrack and atmosphere, complex weapons and upgrade system with RPG elements to keep you coming back for more all contribute to it being one of the best iPhone and iPad games money can buy. The original game recently went free, as did the second installment which normally costs $6.99 and was yesterday named IGN’s Free Game of the Month. As for Infinity Blade III (a $6.99 download for the iPhone and iPad), the substantial Soul Hunter update from a month and a half ago brought us a bunch of new items and goals and an all-new quest that includes a new location and a new enemy, the Deathless Bloodmage. But that was just warming up as Chair has announced that the upcoming Ausar Rising update will be even bigger. Due next week, the update will let you revisit the original Infinity Blade castle and explore the origins of the Infinity Blade protagonist. Good news gamers, IGN has named the popular Infinity Blade II title by Chair Entertainment its Free Game of the Month. This is one of the few times that the game, which normally retails for $6.99, has been made available at no cost. Infinity Blade fans will be happy to hear that the highly anticipated ‘Soul Hunter’ update is now available in the App Store. The download, which we talked about yesterday, brings the just-released Infinity Blade III game to version 1.1.